Yeah.... 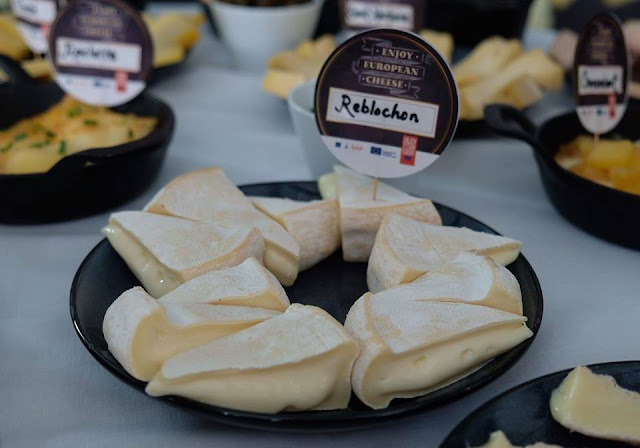 Nothing beats these heavenly melty gooey European cheese. Oh boy... so satisfying! 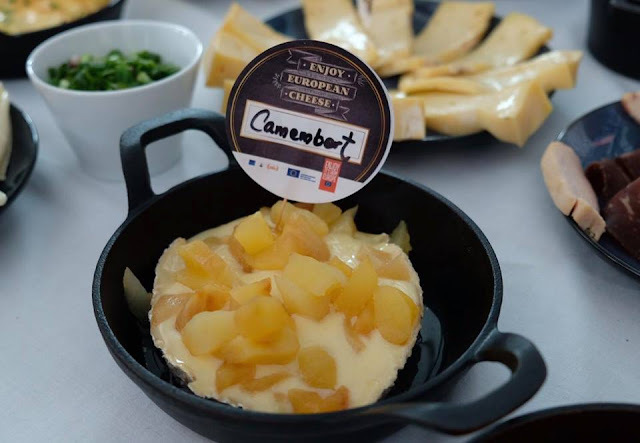 Of late, we had the pleasure to enjoy such indulging treats at a Raclette cheese party hosted by the French Interbranch Dairy Organization and European Union held at Cocott' KL. 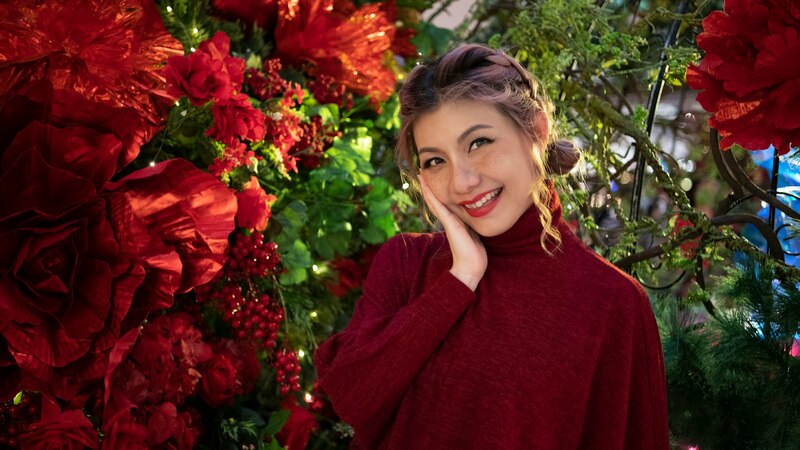 One of the most versatile foods in the world, cheese can be eaten as it is, paired with a classy wine or even incorporated into dishes, from cold to hot, sweet to spicy, from appetisers to desserts. Cheese is good for you! Did you know cheese is not only packed with protein, you'll also get nutrients such as calcium, phosphorus, zinc, vitamin A and vitamin B12, not to mention, the essential building blocks for strong muscles. 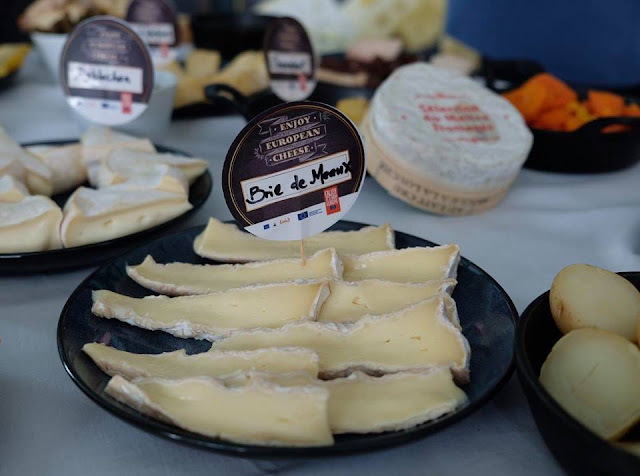 However, when it comes to melting cheese, not all cheeses are equal, some melt better than others, allowing unlocked textures, flavours and taste to ooze out. It was such a pleasure to have Chef Pierre Gay, a cheese master, cheese connoisseur and expert from France shared with us his extensive knowledge on European cheese. 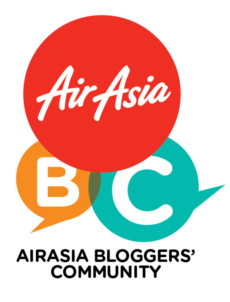 According to him, Raclette, a fairly new concept in Malaysia is an experience Malaysians do not want to miss. Made of cow milk that has been broiled or melted under direct heat until oozy and a bit crispy, it is best enjoyed by scraping the melted cheese over potatoes, crunchy vegetables or cured meats. 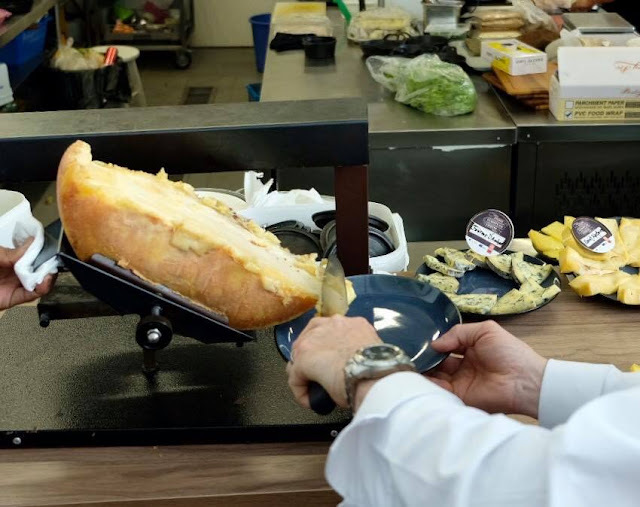 He further added that watching the cheese melt and being scraped over the food is part of the sensory experience of a Raclette. 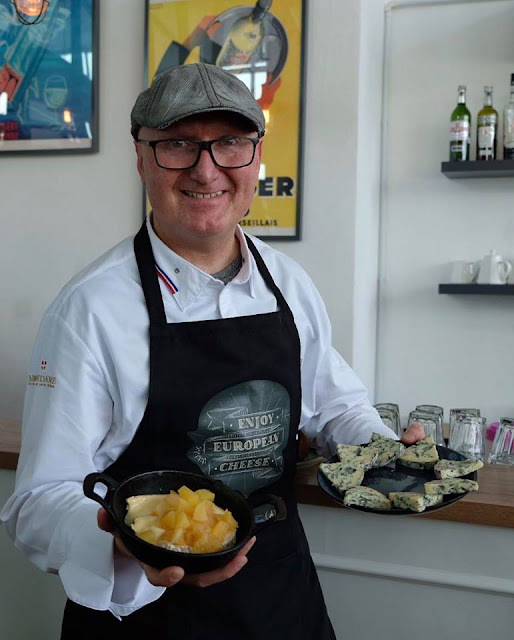 Chef Pierre Gay is the owner of Pierre Gay Fromagerie, one of the oldest cheese houses in Annecy, in the Rhone-Alps in Eastern France. 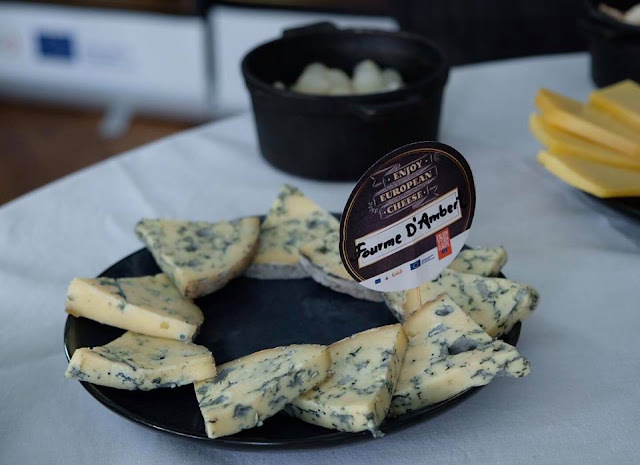 The fromagerie known in the region for its fine cheeses was started since 1935, and Pierre took over the company in 1989 from his father. Pierre's dedication and efforts paid off when he was crowned Meilleur Ouvrier de France (MOF) year 2011, a recognition of being the top in his trade. 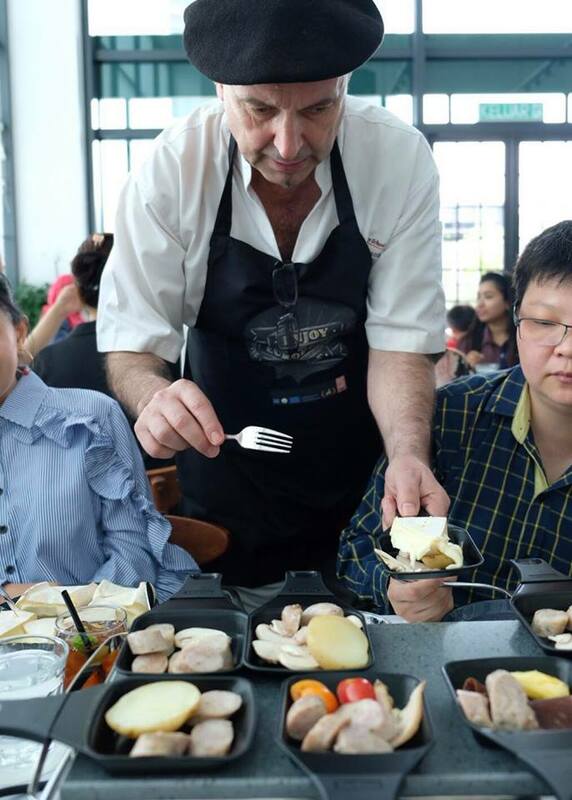 Pierre also shared the secret to choosing the right cheese for a Raclette is the moisture content of the cheese. The more moisture the cheese has, the better it will melts. 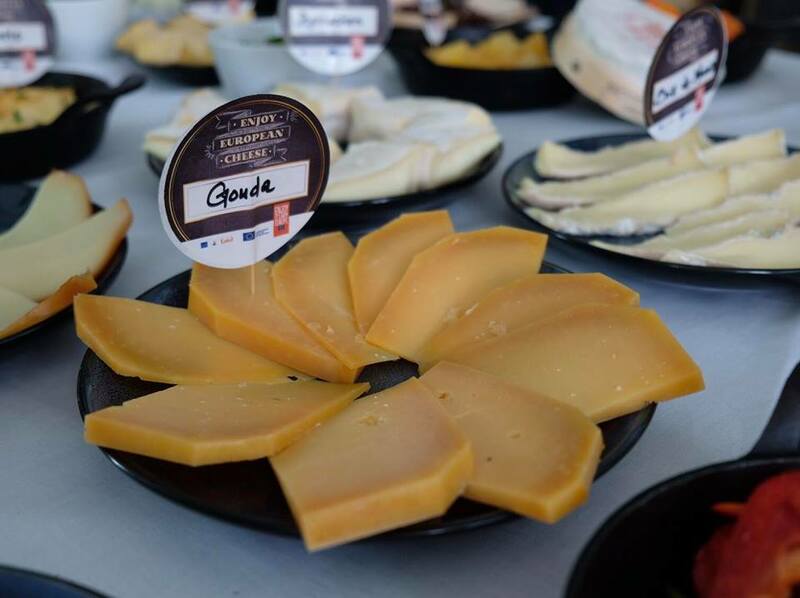 Generally European cheeses are more suited for Raclettes and the favourites are the signature Raclette Cheese, Emmental and Comte. Once melted, they will have a nuttier and sweeter flavour. The Chef used Raclette cheese which he melted in a large Raclette machine. 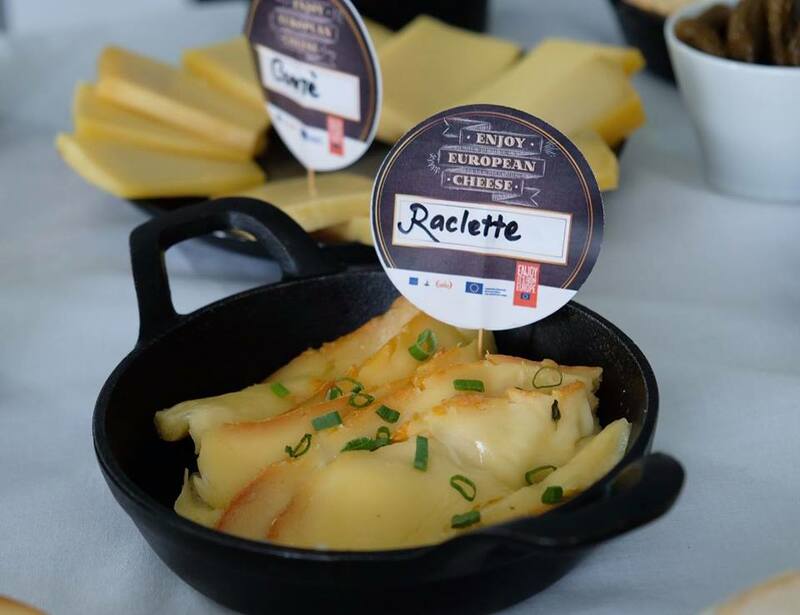 The Raclette cheese is an excellent melting cheese for raclettes and fondues. 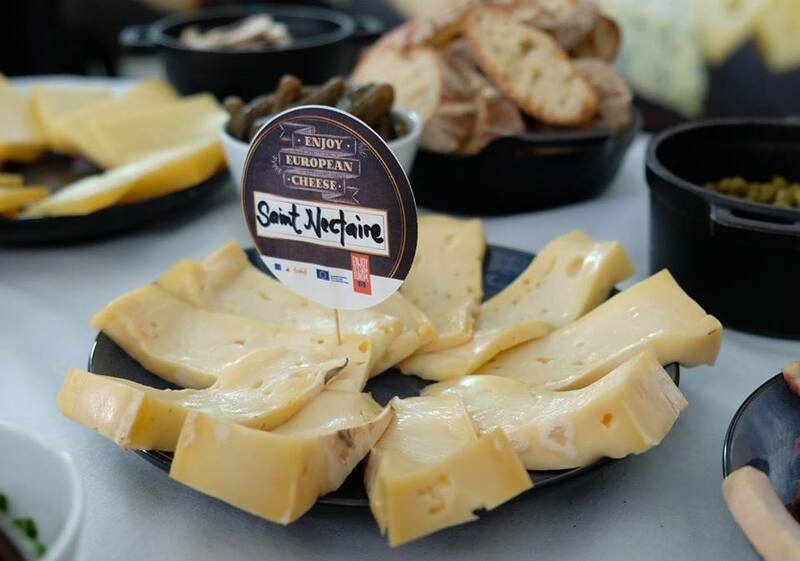 Pungent yet savoury, the Raclette's pH level gives it the perfect melting point resulting in a molten liquid that is stringy and holds its shape at the same time. 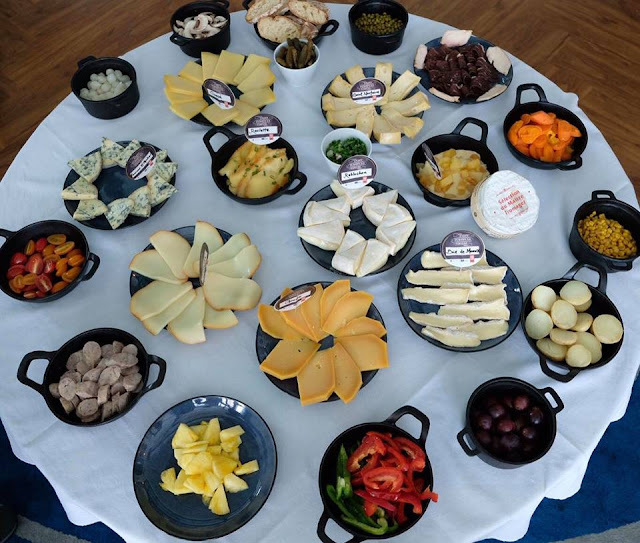 Now check out all these different varieties of European cheeses we melted and enjoyed with various cooked and raw vegetable, meat, condiments and bread. 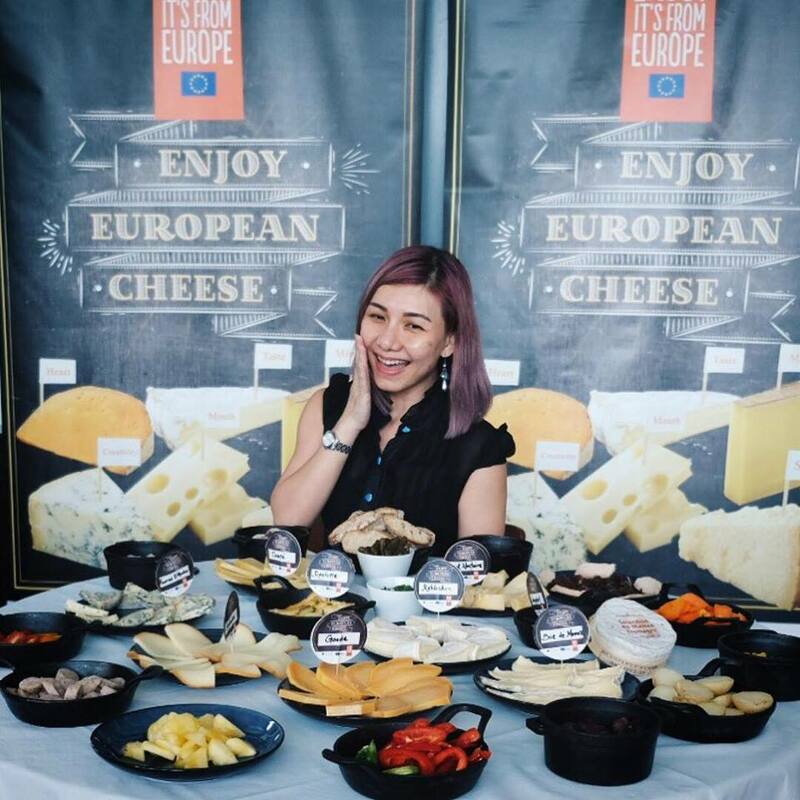 With stringent quality control and regulations in Europe, European cheeses are always of the highest quality and the best cheese products that are readily available to consumers in Malaysia. Let's organise your own Raclette party with friends and family, and get ready to melt into an epicurean journey with the world's best European cheeses.